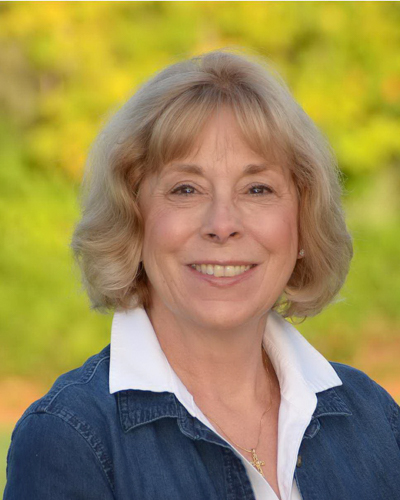 Mrs. Phillips has been part of the St. Francis Solano School community since 2001. Prior to St. Francis Solano School, Mrs. Phillips taught grades one through six throughout Sonoma Valley which included Flowery Elementary School, Altimira Middle School and was lead teacher at Sonoma Charter School. Mrs. Phillips earned her Bachelor of Arts degree in International Relations from San Francisco State University. Additionally, she holds a Multiple Subject Credential, a Social Science Credential and a CLAD Credential. Each morning students complete a warm-up activity. These activities include reviews for religion, math, language arts, science or social studies. Daily agenda meetings are designed to promote classroom community. This is a time where we review the day’s agenda, special events and celebrate birthdays. Our focus in second grade is to increase reading fluency, build comprehension and analysis, grow speaking and listening skills, and expand writing abilities. Learning and practicing the writing process: brainstorming, rough draft, editing, final copy and sharing. Second graders study single, double and triple addition and subtraction, expand place value concepts, identify the value of coins, use measurement in standard and nonstandard units, and review fractions. We employ whole and small group instruction, manipulatives, iPad apps for computational skills and individualized instruction. Second grade science emphasizes reading and comprehending informational text, writing informative and explanatory reports and creating science projects. Second grade social studies emphasizes reading and comprehending informational text, writing informative and explanatory reports and creating projects. 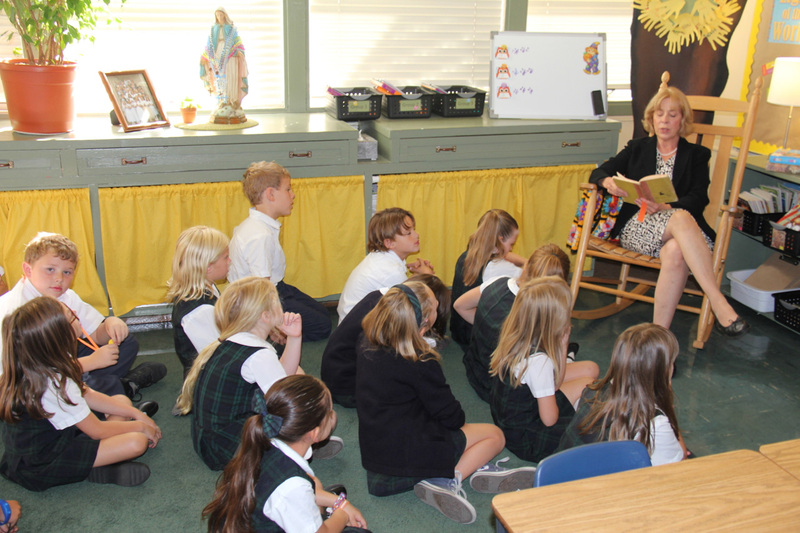 Second grade religion is designed for students to understand and live their Catholic faith according to their age and readiness. It is important that each student develops a relationship with God, learns to praise God and experience God through prayer. Each student’s faith development needs to be nurtured within the family and at school. This combination ensures the spiritual growth of each child. Students have a 40-minute formal technology class each week. Additionally, iPads will be used within the classroom for all subject areas. Students have a 40-minute Spanish class each week with Senor Ligotti. Students have two 40-minute Music classes each week. Students have two 40-minute P.E. classes each week. Students participate in integrated art projects, drama activities and visual arts throughout the year. Read the class NEWSLETTER here.